This week marks the 110th anniversary of the first Vanderbilt Cup race on Long Island, New York. Through the sport’s formative years at the end of the 19th and beginning of the 20th century automobile racing in America trailed behind Europe. The first American automobile race took place in Chicago in 1895 and was won by Massachusetts bicycle maker J Frank Duryea’s two-cylinder machine but another 10 years would pass before the sport began to take real shape in the United States. In those days there were few automobiles in America and equally few roads to drive them on or places to find gasoline. However, some wealthy early motorists soon discovered the beach adjacent to the fashionable Hotel Ormond in Ormond Beach, Florida, was an ideal place to exercise their machines and speed runs on the beach started in 1903. The following year saw a huge crowd attracted to a whole host of races on Ormond Beach. 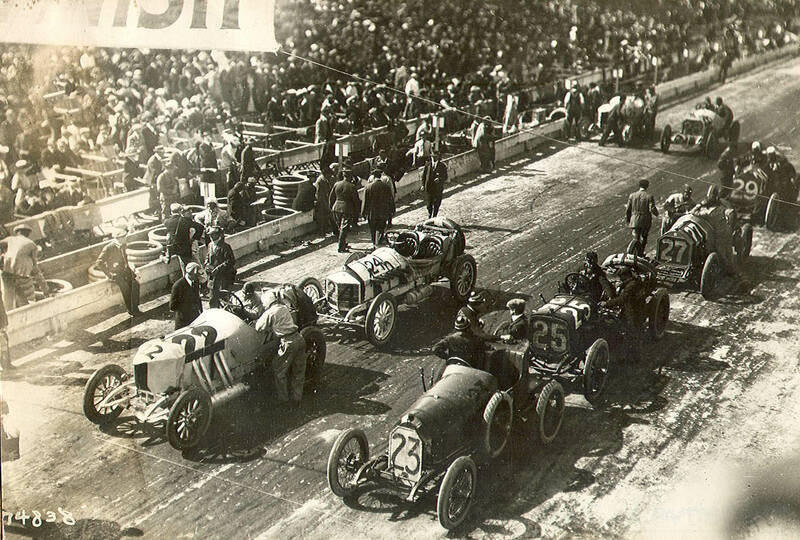 There were five- and 10-mile handicap races and a 50-mile AAA Championship race as well as a 10-mile invitational for ‘gentlemen’ won by William K Vanderbilt’s 90hp Mercedes. Vanderbilt also set a series of records over distances between one and 50 miles. Speed runs and races on the beach continued through 1911 and were revived in 1919 as the narrow strip of Florida beach enjoyed a heyday of land speed record runs through the ‘20s and early ‘30s featuring great American stars Ralph DePalma, Tommy Milton, Frank Lockhart and Ray Keech before British heroes Sir Henry Segrave and Malcolm Campbell arrived. Meanwhile, auto racing in the United States roared into full-throated life in 1904 when William K Vanderbilt inaugurated the first Vanderbilt Cup race on New York’s Long Island to encourage American car builders to get involved in racing and challenge the Europeans. There was plenty of public and political opposition to try to stop the race from happening but Vanderbilt used his power and influence to prevail and large crowds turned out to watch a field of seventeen cars take part in the inaugural Vanderbilt Cup race on October 8, 1904.The 10-lap race over a 28-mile circuit on winding dirt roads through Nassau County east of New York City was won by local hero George Heath’s 90hp Panhard. Heath completed the race in 5hr 26min, averaging 52.2mph. 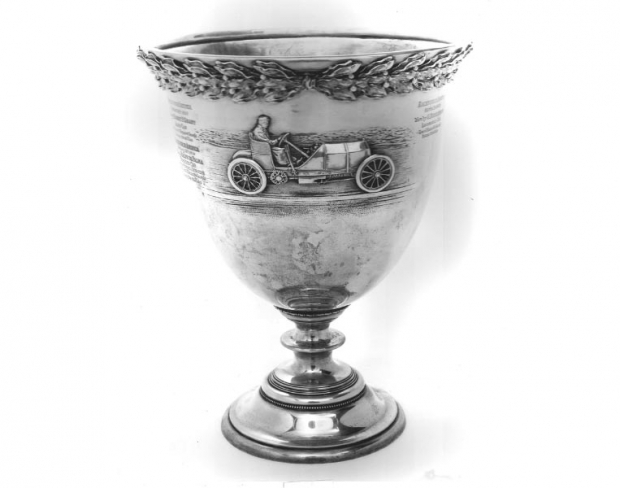 The second Vanderbilt Cup race went to Frenchman Victor Hémery aboard a Darracq while another Frenchman, Louis Wagner, also drove a Darracq to victory in 1906. But crowd control was a problem and after a spectator was killed in ’06 the following year’s race was cancelled. The enterprising Vanderbilt saw a solution to his problems by setting up a company to build one of America’s first paved parkways that would not only help open Long Island to economic development but also provide an ideal racing circuit. In 1907 construction began of the Long Island Motor Parkway, a 48-mile toll highway traversing Queens County, and the Vanderbilt Cup race was revived in 1908, taking place on parts of the new road. 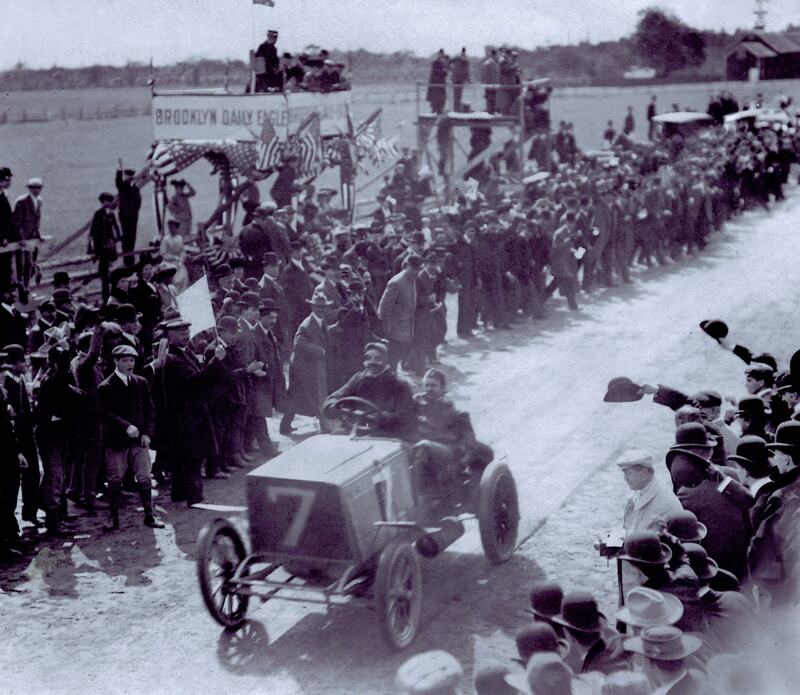 A huge crowd watched George Robertson from nearby Garden City, New York, become the second American to win Mr Vanderbilt’s trophy aboard a Locomobile built in nearby Bridgeport, Connecticut. The 1909 and ’10 Vanderbilt Cups also provided all-American victories with Harry Grant winning both races driving an ALCO built in Boston. The Vanderbilt races were sanctioned by the American Automobile Association’s Contest Board but in 1908 a new rival known as the Automobile Club of America (ACA) organised a competing race called the American Grand Prize race. Run over 10 laps of a 25-mile circuit the first American Grand Prize was won by Louis Wagner’s Fiat. 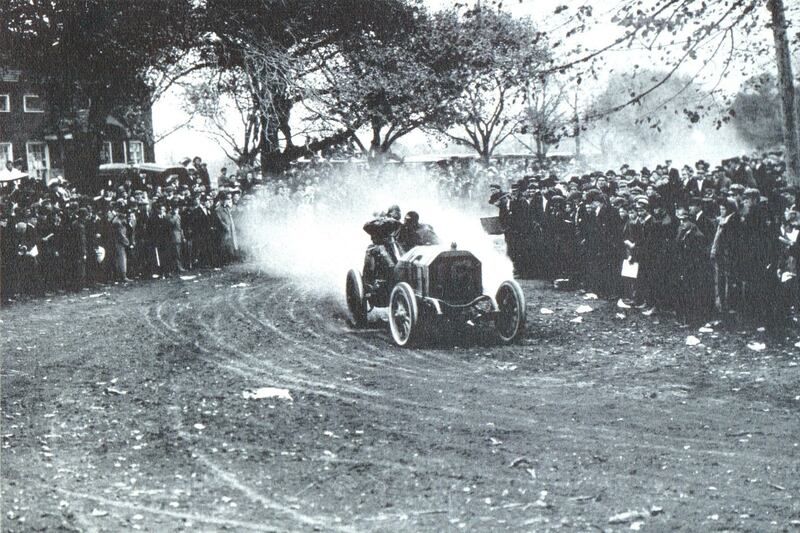 The next two races in Savannah were won by New Yorker David Bruce-Brown who drove a Benz to victory in 1910 and a Fiat to win the 1911 Grand Prize. The Vanderbilt Cup was also run in Savannah in 1911 three days before the Grand Prize race with Ralph Mulford winning aboard a Lozier. Promoted by rival sanctioning bodies the two big races continued to operate as twin bills through 1915. They were run on open road courses in Milwaukee in 1912, Santa Monica in 1914 and ’16, and San Francisco in 1915. Ralph DePalma won the 1912 Vanderbilt Cup race in Milwaukee aboard a Mercedes with Caleb Bragg taking the Grand Prize driving a Fiat. But wealthy and talented David Bruce-Brown was killed in practice at Milwaukee in 1912 and neither race was run in 1913. After the United States entered World War I the 1917 Vanderbilt Cup and American Grand Prize races were cancelled and it turned out to be the end of an era. During this time many other races were run in America on open roads that were closed for the occasion. Big crowds turned out for races all around the country from Portland, Oregon to Tacoma, San Diego, Corona in California, Denver, Crown Point in Indiana, Elgin in Illinois, Cincinnati, Lowell in Massachusetts, Philadelphia, and Riverhead out on Long Island. But just as in Europe a decade earlier, a spate of deaths at Corona and elsewhere put an end to road racing in America. Following WWI the focus of American racing – Indy 500 aside – fell on the spectacular, banked board tracks that proliferated across the country through the 1920s. The great board track era that followed would forge the beginnings of America’s romance with oval tracks, an affair that continues to thrive through today. And of course, William K’s nephew George briefly revived the Vanderbilt Cup race for two years in 1936 and ’37. George’s pair of 300-mile races took place on a makeshift road circuit laid out on Long Island’s Roosevelt Field and both were dominated by a small selection of visiting European drivers and teams. Tazio Nuvolari won aboard an Alfa Romeo 8C in 1936 and Bernd Rosemeyer took the last Vanderbilt Cup race driving a C-type Auto Union.